Convenience of downtown living at utmost affordability! 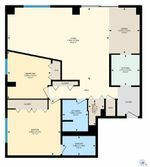 This 2 bdrm, 2 bath spacious 1060 sq. ft. condo in historic Grandin has a walking score of 89. 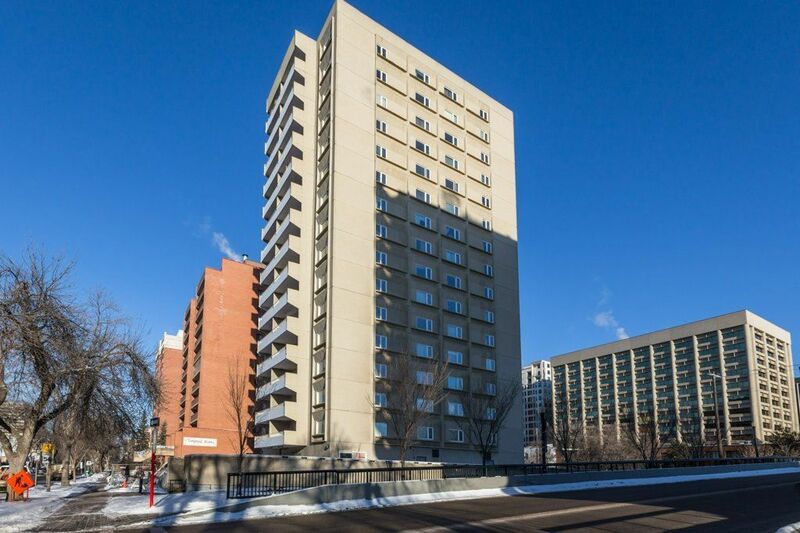 This pet friendly building is only steps from the Grandin LRT station, Legislative grounds, Ezio Faraone Park, restaurants & shopping. Easy access to the U of A & University hospital. The spacious living & dining rooms lead you to a magnificent west facing balcony with spectacular 14th floor river valley views. Kitchen has ceramic tiles & colonial white cupboards. The 2 baths are renovated with a shower stall addition to the master ensuite & cozy soaker tub in the second bath. Enjoy built-in bookcases, new modern dining room light fixture, & new baseboards. Stackable washer & dryer are for your convenience. This is a well constructed concrete building with condo fees including heat, water, & electricity. Titled underground stall in heated parkade, storage locker, along with an Exercise room, pool table and table tennis complete this building. A must see!